← Masako, Where are you? hands decorated by the accent of yellow mimosas…oh, how similar but totally different from Halloween and Mardi Gras…….BASEL FASNACHT! 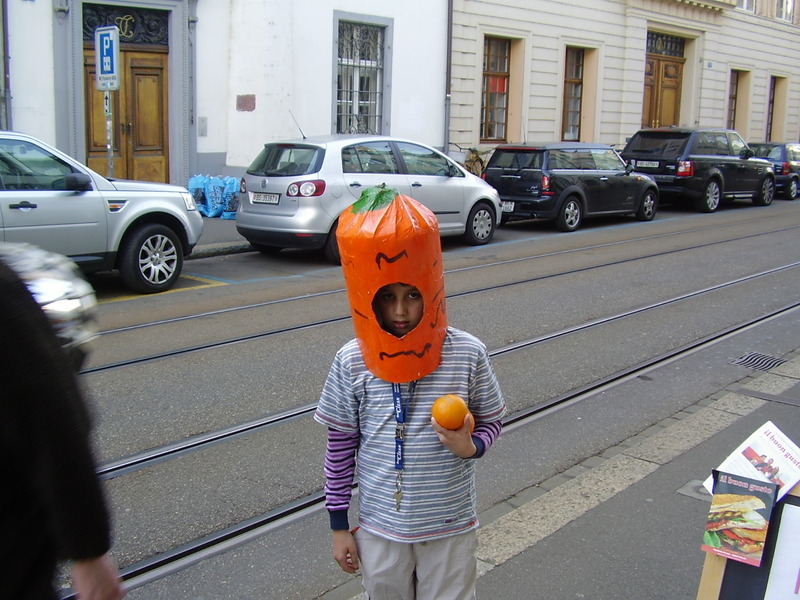 This entry was posted in Children, Creativity, Cultural Pride, Holidays, International Travel, Music, Poetry and stories, Uncategorized and tagged Basel, Costume, Halloween, Holiday, Mardi Gras, Shopping, Swabian-Alemannic-Fastnacht, Switzerland. Bookmark the permalink. I am absolutely loving the strange vaguely human face masks. Hi Posky! I took more photos yesterday during the children’s Fasnacht with another camera. I will be downloading more soon. Thanks for commenting. 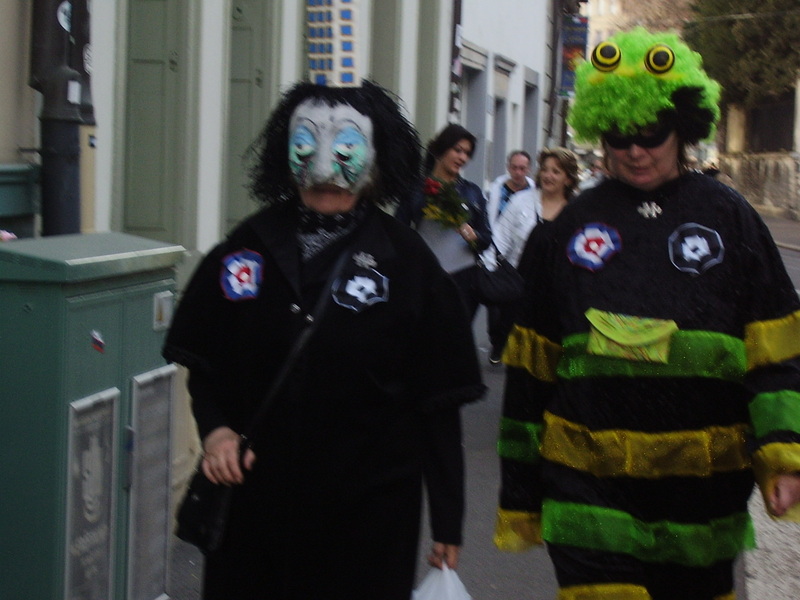 Fasnacht is surreally special! What is this festival? I love the costuming, so cool! Reminds me of the people’s parade in Madison, WI. 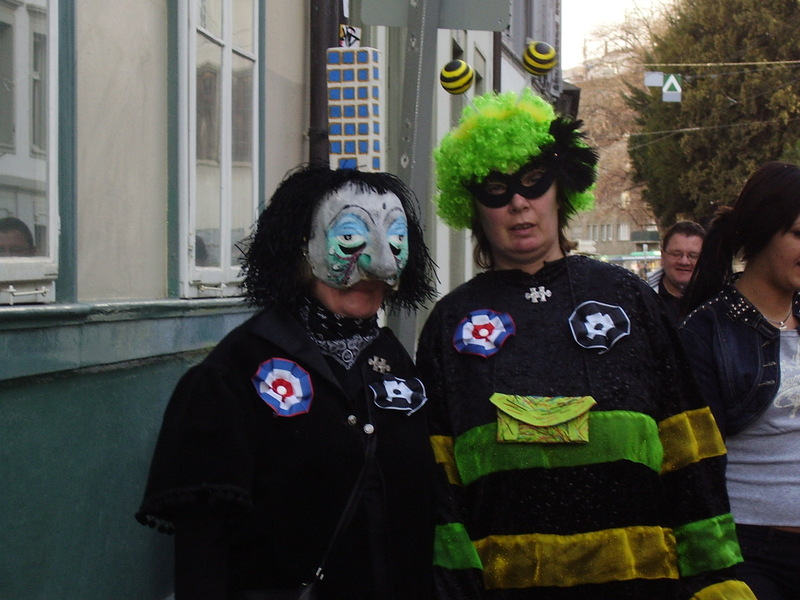 It’s the town parading through the streets, anyone can participate and families dress up in fun costumes. I wish I could post costume pics, but they’re only on my phone. Really ornate masks of people dressed as deer, owls, blackbirds, dragons. My favorite were a group of people walking on stilts with clear umbrellas and long streamers hanging down, they were jellyfish! Hi Joss! Pardon the delay of my response. 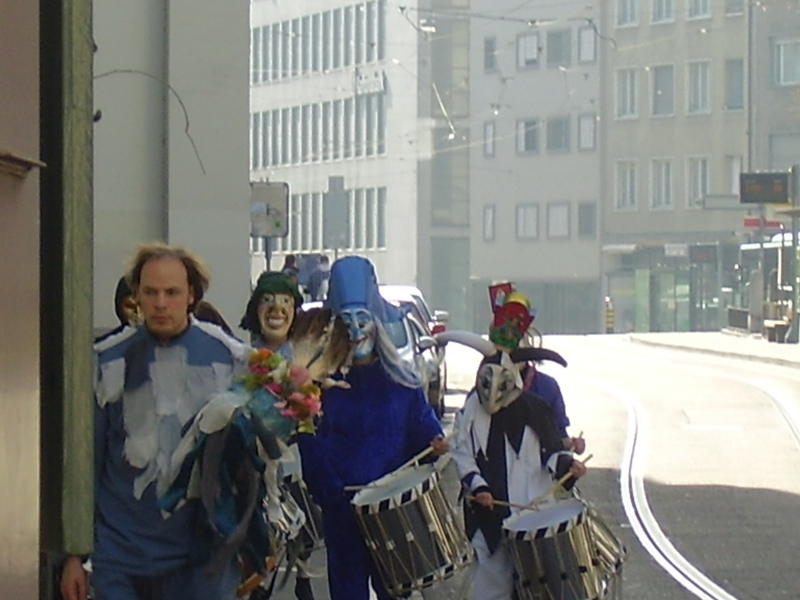 Fasnact is an extraordinary Festival celebrated every year in Basel with origins dating back to 1800. 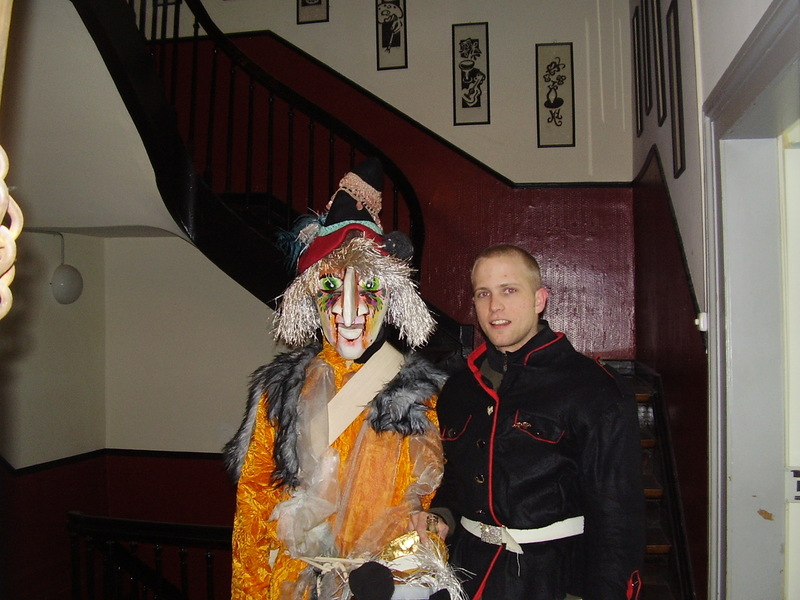 Folk dress in wondrous costumes, prepare floats reflective of often political themes, or local happenings. 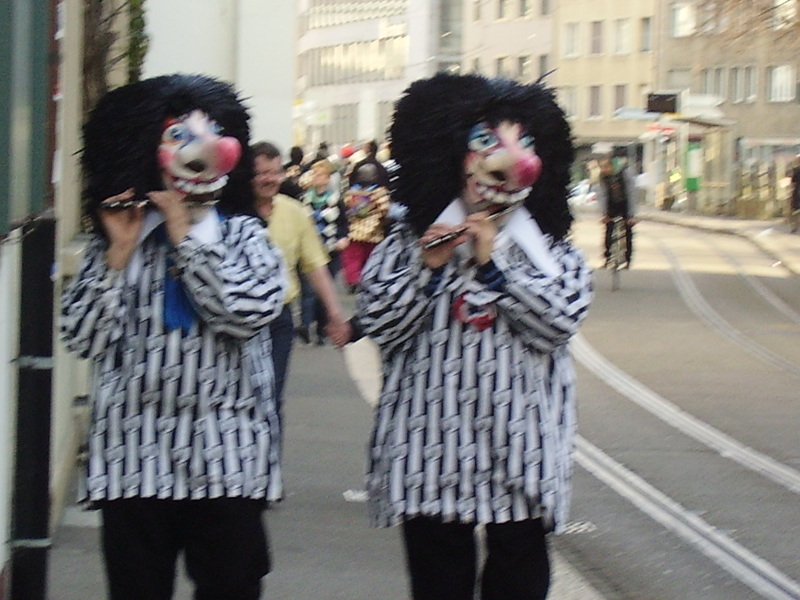 It is challenging to give an accurate in depth description of Fasnacht because of its complexity. 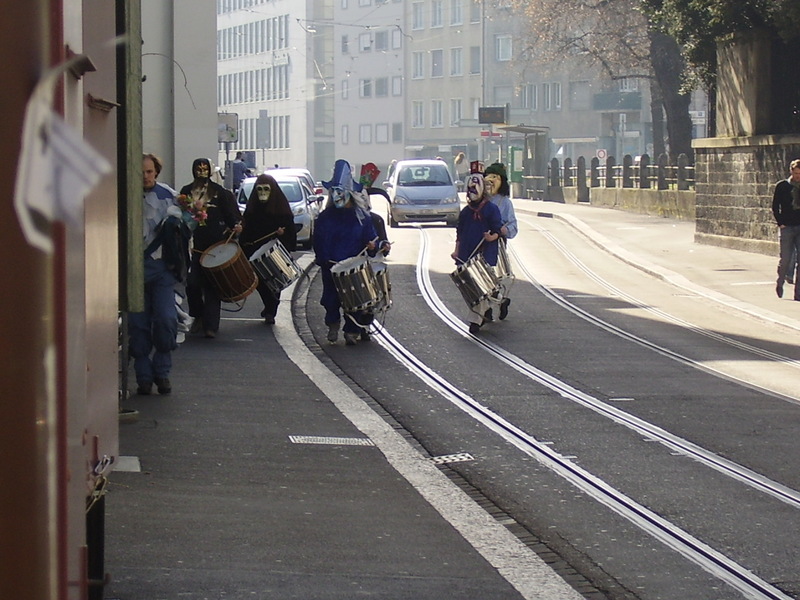 But I must comment on Morganstraich(Morning Strike) …That is the official beginning of Fasnacht, the part to me that is astoundingly impressive and somewhat surreal. At 4:00 a.m., all participants gather, a main switch of the city turns off all the lights(each and every one) and the lanterns of all parading participants paint this surreal glow. Awesome! Also, this Cortége(they don’t like to call it a parade) officially represents the ending of Winter and the beginning of Spring. 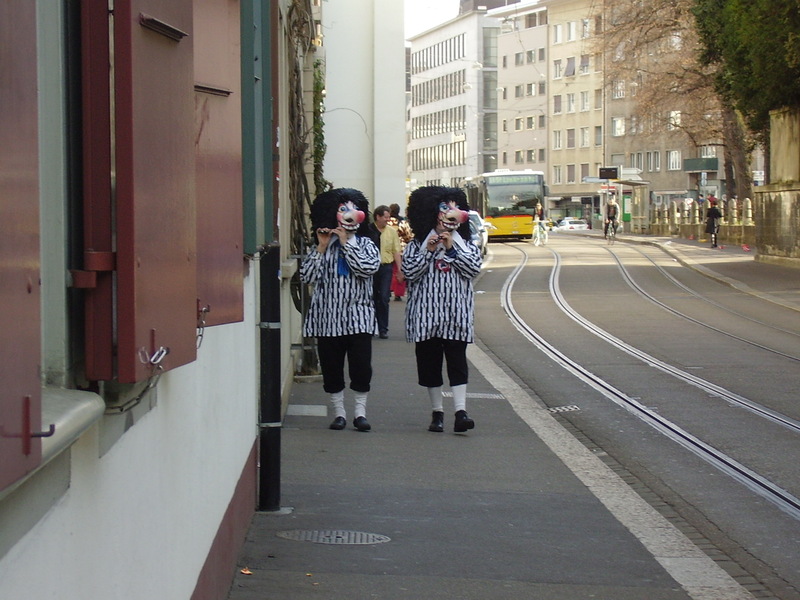 From the feedback I have received when questioning native Basel folk, Fasnacht is integrated into the lives of the families from birth on…It is somewhat sacred…..A colleague in his early 40`s told me “”When 4:00 a.m. of Morganstraich arrives, and the lights of the city go off, and the lanterns are all aglow, I still get chillbumps! '” His face spoke a thousand words. **The Madison, Wisconsin parade sounds pretty cool also!